Williams Heating & Air Inc is proud to serve the Du Quion community! About Du Quion, IL - Happy to be your hometown Heating & Air Conditioning Contractor! 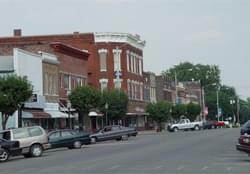 Du Quoin is located in Perry County, Illinois, and according to the most recent census, the population was roughly 6,500. This city is the former home of the world Trotting Derby up until 2009, which was one of the world’s largest harness races. However, the Du Quoin State Fairgrounds Racetrack still hosts several events for several national tours. This region is in a transitional zone between a humid subtropical and humid continental climate, and it has four distinctive seasons. There are several attractions located in Du Quoin that may be of interest to college students and others. The Grand Theatre is located in this city, and Du Quoin is also home to the Du Quoin State Fair. The fairgrounds host yearly events like the ARCA and USAC Automobile racing, rodeos, camper conventions, water ski championships, and concerts. Outdoor attractions in Du Quoin include the Du Quoin Municipal Swimming pool and Keyes Park.